We all have our favourite eateries, where we dig into the comfort of flavours we’re well acquainted with. But variety never hurt anyone, and we’ve got the dope on the newest eateries to try in your city. Meat lovers in the city have another reason to rejoice. 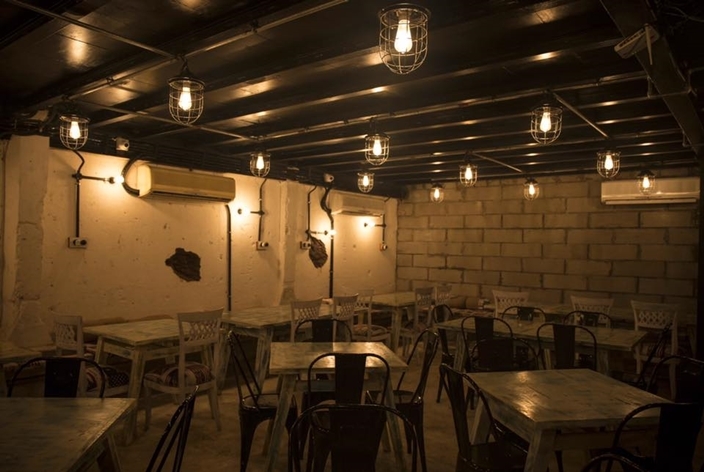 The Yard in Kala Ghoda is a BBQ and smokehouse with rustic-chic interiors. Also included are Italian, American and Continental cuisines like an assortment of pastas, Beet Carpaccio, Zucchini Fries plus Shrimp popcorn, calamari rings for seafood lovers. The BBQ section (there’s no pork on the menu) allows several options that include Braised Ribs, smoked Lamb Shanks served with a side of garlic mashed potatoes and spinach. If you’re looking for something along the lines of classic American food for your meal here, pick the Slow-cooked Rotisserie Chicken. Also, it’d be wise to note there’s no alcohol served at this BBQ place. But we hear the mocktails like the zingy-sweet watermelon and jalapeno more than make up for the lack of hooch with your meat. Versova’s cosy, quirky-themed Jamjar Diner has been around for a while now, and now, they’ve got a whole new menu in addition to the delicious food already present. “Breakfast being the most important meal of the day, we decided to give it the due importance it commands by creating an elaborate breakfast menu” says chef Sandeep Sonawane, Head Chef, Jamjar Diner. Options like the Superfood Smoothie Bowl (with berries, banana, yoghurt, chia, granola and fresh fruits) will find favour with health nuts and for those who are looking for something heavier, options include Enlish muffin topped JJ’s Bennies in Florentine, Ham & Cheese, BBQ Pulled Pork variants. 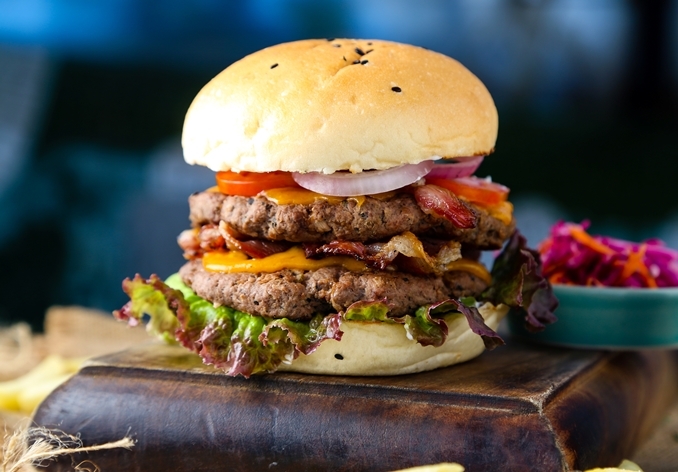 Mains feature a bit of this and that, and include pizzas, burgers, and sandwiches like the Spicy Burnt Garlic pizza, as well as the double tenderloin patty, double cheddar and bacon behemoth aptly called the Triple Double Burger plus veggie options like Provencal Pie. Your favourite smoothies at Jamjar Diner also get healthy and chef Sonawane further adds “All our healthy options have been created using best of ingredients. Our smoothies are made using ingredients like almonds, berries, sunflower seeds, moringa powder, spirulina Powder which are some of the healthiest ingredients known to man.” Think options like pineapple, papaya, guava and yoghurt in the Tropical while kale, spirulan, spinach and fresh fruits come together in the Super Green. Desserts to have been revamped and include offerings like the decadent berry compote and cookie crumble-filled JJ’s Cheesecake Jar finished with light cream cheese. The 5th outpost of Smoke House Deli is now open at Delhi’s landmark Connaught Place. 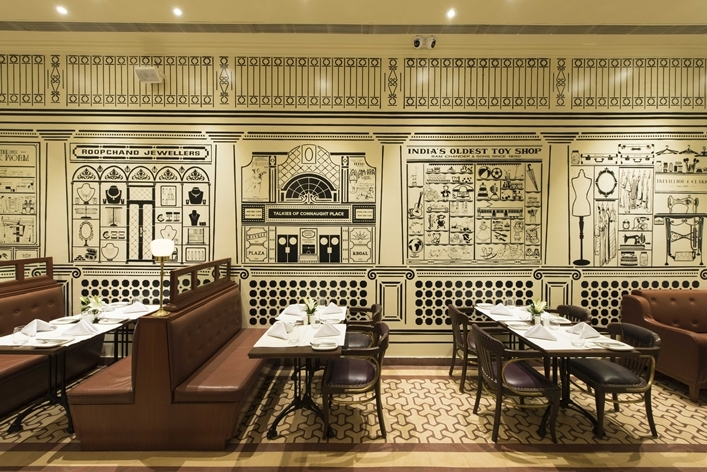 In a shift from classic SHD hand-drawn sketchbook-style interiors, the décor at this outlet pays homage to the colonial history and architectural marvels around CP. Moving to the food, the menu retains a lot of SHD’s beloved classics plus new additions like Lightly Smoked Lamb Shanks and ½ Roast Chicken, Spinach + Ricotta Ravioli, among others. Those looking for breads and other delights can gorge on options like Soy Mix + Curried Vegan Burger, the Smoked Lamb Burger, the Tomato + Buffalo Mozzarella Pizza. And for the health-conscious, there’s Jowar Fettuccine with Tomato Braised Vegetables, Kefir Soaked Chicken with Organic Red Rice plus healthy, sweet bites like the Cacao Nib and Soya Milk Cheesecake replete with a power-packed Nachni crust.